Have you been injured in an auto accident in Cape Coral? The wisest thing you can do is call a Cape Coral personal injury lawyer for initial advice. It is crucial to get one at this point of time. As soon as the other driver and their insurance company see that you are handling the issue by yourself, they may attack. Their most common move is to offer you a quick settlement offer. You shouldn't accept this offer before speaking to an attorney, because it aims only to save money for them. You'll never get the full amount of money for covering all your harms and losses. That's why our Cape Coral auto accident lawyers at the Wolfson Law Firm offer free initial consultation to folks in your situation. This call will protect you from bad decisions at the beginning stage of the recovery procedures when every move is crucial for the outcome. Reach us at (239) 777-9954 and get your free advice at no obligation to hire us afterward. We know how hard it is to be hurt at no fault of yours. You are angry with the reckless driver who caused the accident and wants to level things up, but the only legal and right way to do it is through the US legal system. The system is fair and entitles you with the right to seek financial recovery for your damages. We handle cases on a contingency basis, which means that we don't charge fees until we win monetary compensation for you. If we find that you stand the fair chance for recovery, you'll have no risk of attorney fees in trying to get it. This inevitably leads to plenty of auto accidents. People know about the possible consequences, but they still engage in such behavior. The accidents often cause serious and life-threatening injuries, such as spinal injuries, back injuries, neck injuries, brain damages, eye injuries, head injuries, broken bones, ankle injuries, broken ribs, hip injuries, and others. Sometimes they are not as serious. Bruises and small scars are not life-changing injuries, but they wouldn't have happened without other drivers' behavior; hence you may be entitled to damages compensation. 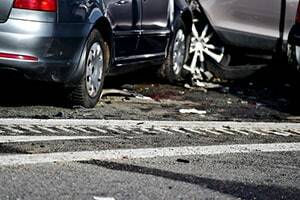 First and foremost, our Cape Coral car crash attorneys can give you the free initial advice about your options and chances for damages recovery. This conversation will clarify many things and will let you know what you can expect further. If you decide to hire us afterward, we will start building our negotiating position. We don't face insurance companies before getting ready for that. We talk to doctors, expert witnesses, witnesses of the accident, and anyone else who could help us supporting our claim. We also gather the necessary documentation to prove our point. Then we send the insurance company with a settlement proposal. The amount of money we ask for is adequate to what you deserve. It is not as small as the one they may have offered you in the beginning. Then we negotiate. If they negotiate reasonably and we reach an agreement, you'll get compensated very soon. But, if they delay and do not respond, we'll file a lawsuit. If a lawsuit is a more reasonable solution than negotiation, we'll go for it. We are not afraid to go to trial, and that's what many insurance companies want to avoid in most cases. Call us today at (239) 777-9954 for free consultations and let’s get to work. We won't charge fees until recovery.